Lonely Planet - Ampersand Inc.
Lonely Planet is the number one undisputed authority for travelers. Covering destinations from Antarctica to Zimbabwe, their guides inspire and enable travelers to see every corner of the world. 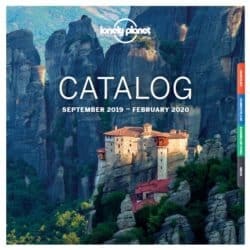 Lonely Planet offers travelers the world’s richest travel advice, researched and written by over 350 Lonely Planet authors living in 37 countries and fluent in 70 languages, and are relentless in finding the special, the unique, and the different for travelers wherever they are. Distributed in Canada by Raincoast Books. For more information on Lonely Planet, contact Ampersand.